Silk, cotton, wool, velvet, leather and linen, whichever your preference, fabric is undoubtedly an essential home accoutrement, and a fundamental component of how we decorate and design our domestic spaces. Be it woven, knitted, crocheted or felted, there is always a desire and need for quality textiles within our home. In the bathroom we require towels, in the dining room a tablecloth, the bedroom, bed linen—the numerous stylistic options and countless household applications can be excitingly intimidating and complex. Let homify show you the way—take a peek at this week’s ideabook, brimming with stylish examples of different and interesting textiles for almost every room of your house. Table linen is often neglected in favour of a sleek and chic table, however, it is often the linen which makes a well set table shine with style. 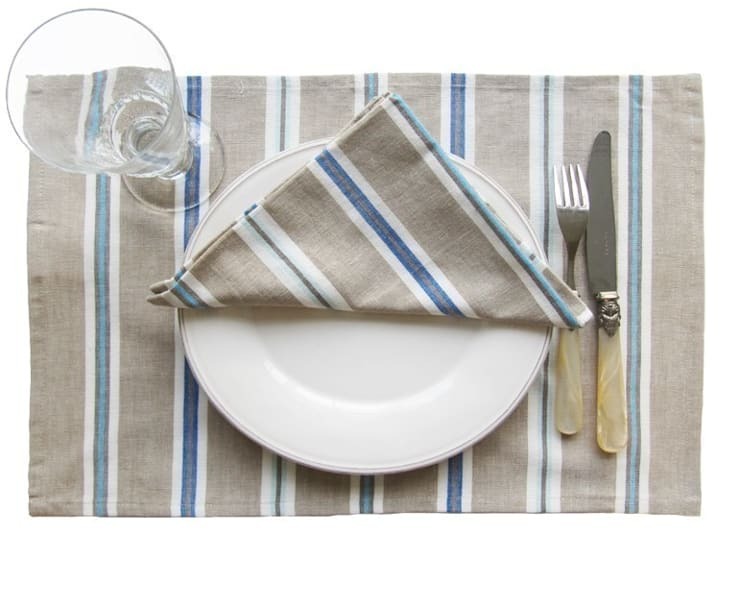 Now, you don’t have to purchase something outrageous, nor something run of the mill, table linen can be exciting, and as varied or interesting as you like. This example shows a wonderful example of traditional, timeless and classic linen. Perfectly contemporary to suit modern home décor, yet classic enough to implement into a seaside home, or country manor. Try neutral colours with a subtle hint or stripe of colour. A rug can really make a room, it brings together a sense of style and evokes warmth and liveability. 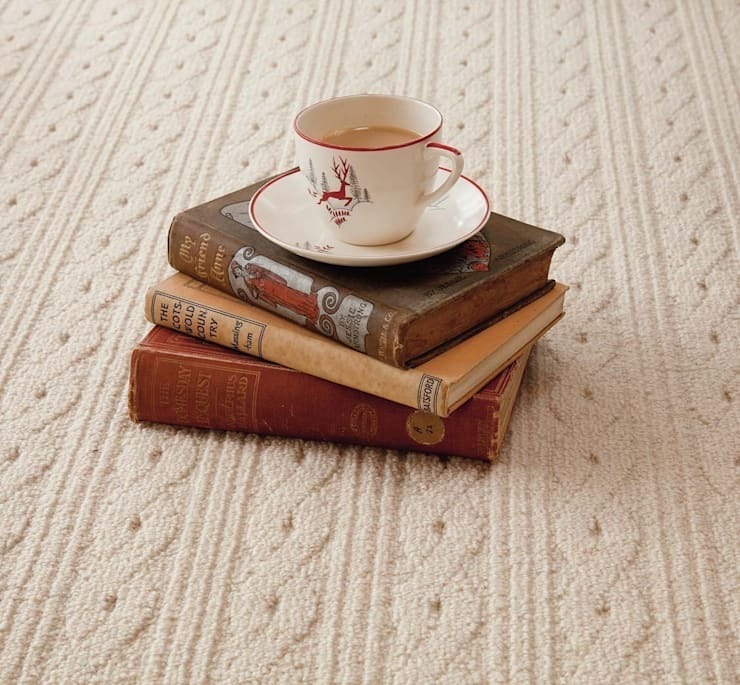 Choosing the right rug can make all the different, and ensures that your space is cohesive, stylish and comfortable. 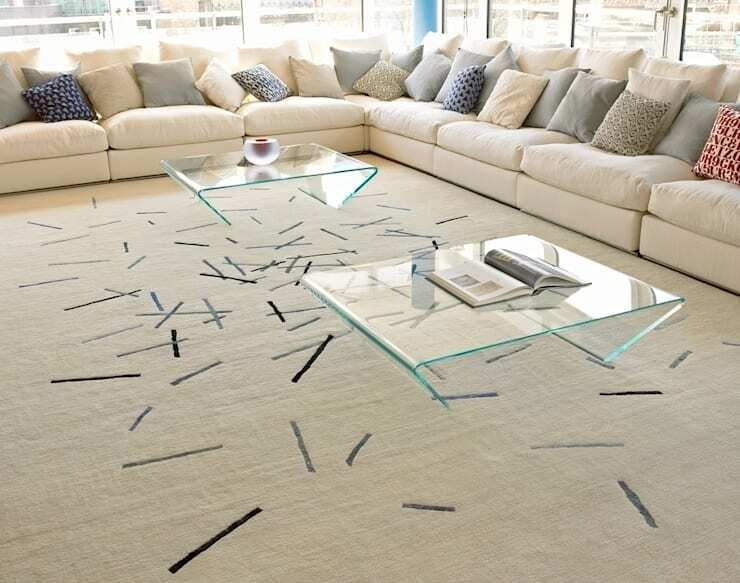 Manufactured by Deidre Dyson, this is an excellent example of a rug at its finest. Contemporary in design, this rug is super plush and matches perfectly with the surrounding décor. Simply add sumptuous cream modular sofa, and top your oversized rug with statement glass coffee tables that ensure the print isn’t hampered or hindered. When people say ‘home is where the heart is’ they must certainly be referring to the bedroom, where the luxury and safety of a well-made bed is paramount to the enjoyment of your domestic space. 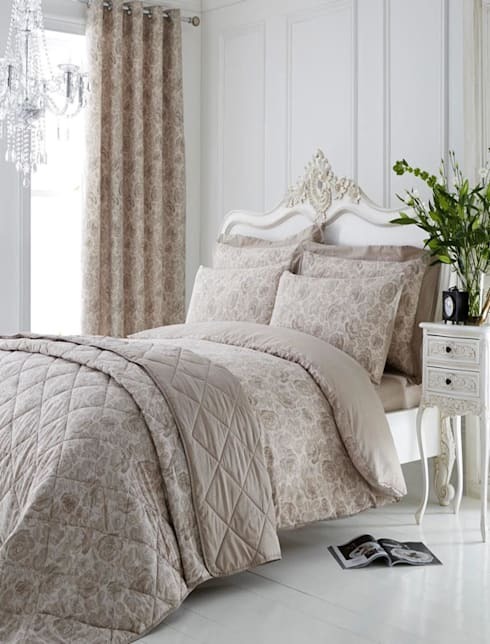 If you are unsure how to dress your bed to ensure comfort and style, take a look at this example. Plush, sumptuous and full of classic grace, this bed exudes luxury and whimsicality. To make sure you drift away to dreamland in style, consider thick quilts, delicate floral patterns and thick down pillows. Furthermore, choose light hued furniture to match or contrast your linen, and you will have a stylish and comfortable space. If you don’t want a rug, consider a carpet—this floor covering can be highly divisive, some love it, others loathe it, but there is no denying the luxury and comfort of a well-chosen carpet. Take a look at this example, the pattern is the highlight with the woven motif stretching across the room and creating interest and intrigue. The thick pile of the shag ensures this will be a flooring that you can sit, relax and enjoy for many years to come. A word of warning, if you choose a neutral hue be sure you have it sealed or scotch guarded professionally to ensure it stays bright and stain-free. Gone are they days where you had to settle for a bathroom towel in a simple range of rainbow hues. The market for quality bathroom linen has soared, and these days you can find almost anything you are looking for. 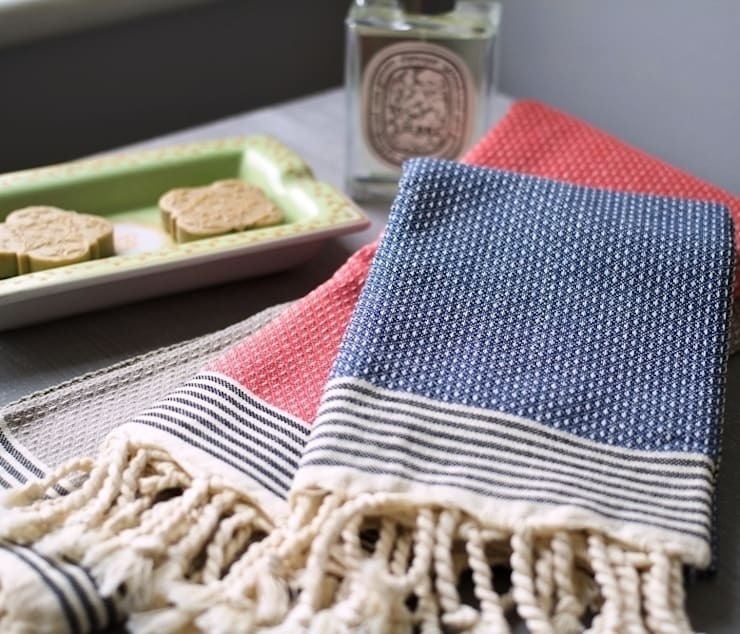 If you don’t get excited about a simple blue, red, white or grey towel, why not take a look at this example and consider a linen towel in a range of patterns and shades? Perfect for injecting a little seaside charm, these towels will make your bathroom stand out and evoke a sense of character and class. Finally, one of the most important textiles in the home, curtains. Perfect for privacy, style and ensuring your windows are well-defined, window dressings are essential for every room of the house. 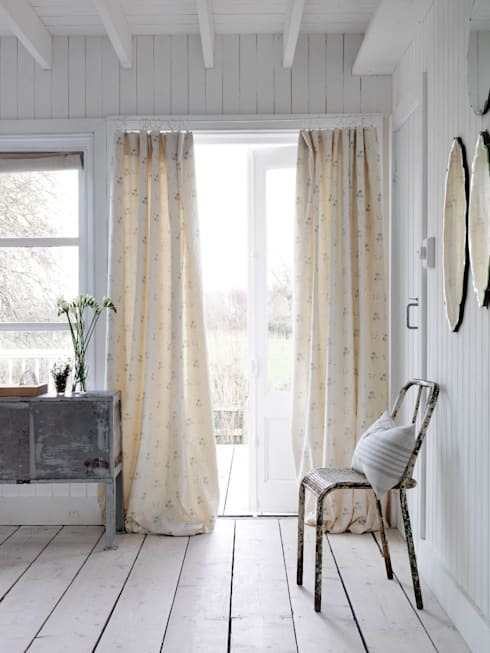 These cottage style curtains are excellent in further evoking a sense of charm, quaintness and character, whilst also providing privacy from the outside world, and exuding a cohesive and thoughtful design.